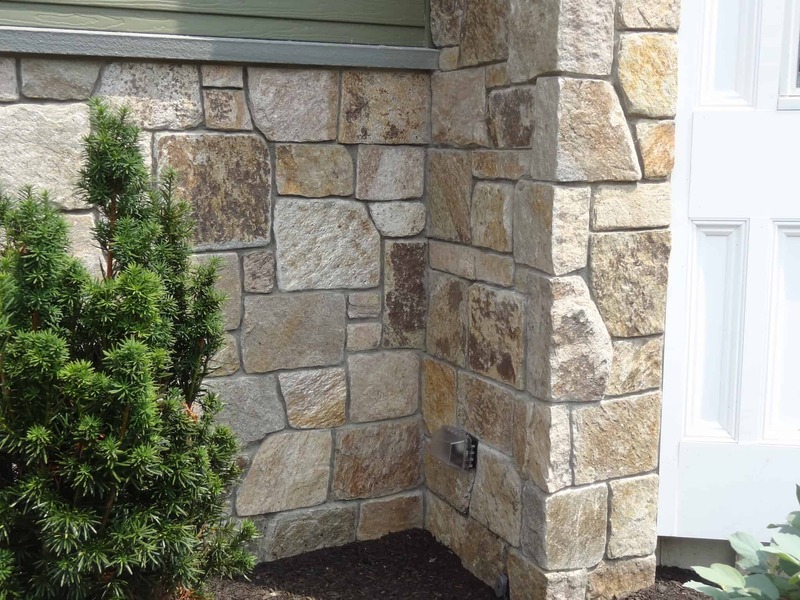 Thin Veneer is 1 inch thick, and light enough to adhere directly to any masonry surface. 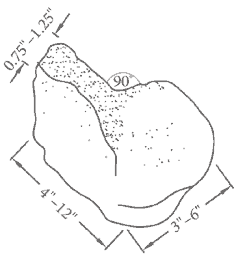 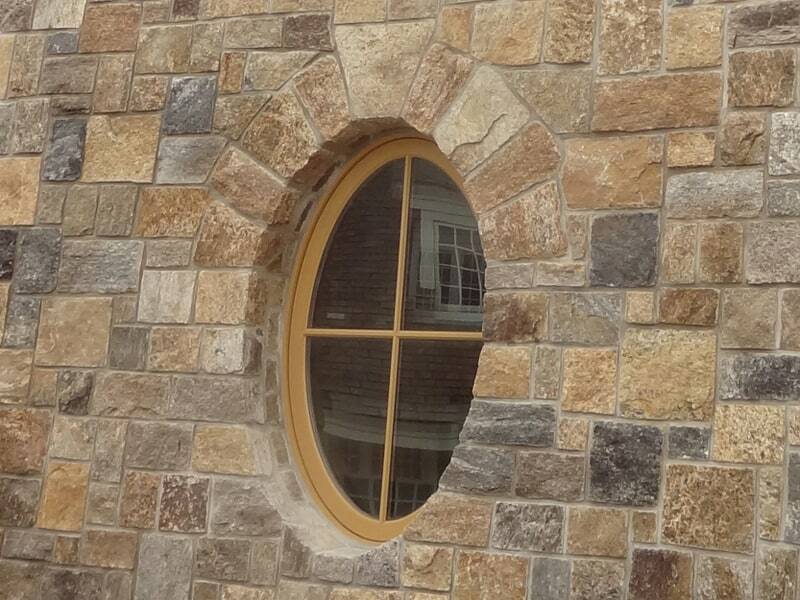 Once installed, it is nearly impossible to tell whether the stones are thin or full thickness. 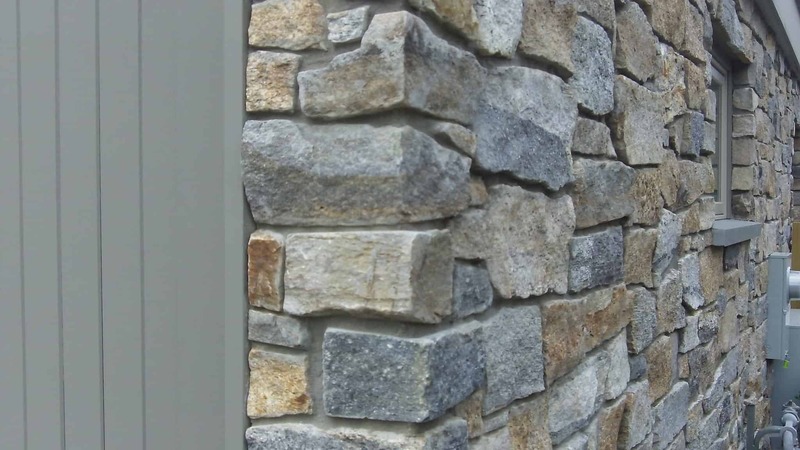 Corners are used to give the appearance of full thickness stone when wrapping around edges and corners. 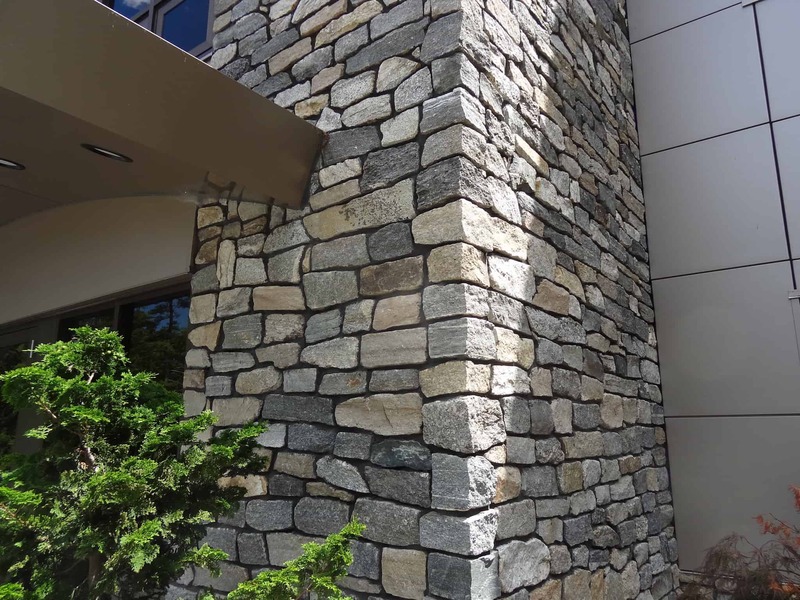 Matching 90° corners are available for all shapes and colors of our thin stone veneer. 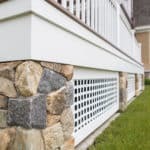 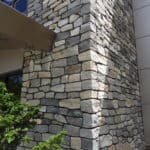 These corners can be used for interior and exterior applications, such as stone fireplaces, foundations, exterior siding, and columns. 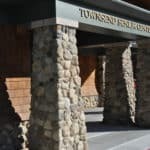 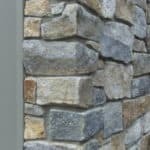 This video details how 90° natural stone thin veneer corners are made as well as some of the more unique applications: keystones, archways, header details, recessed windows, rounded windows, wall caps, and more. 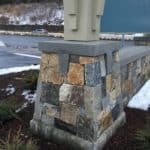 It also discusses how to install 45°/135° corners. 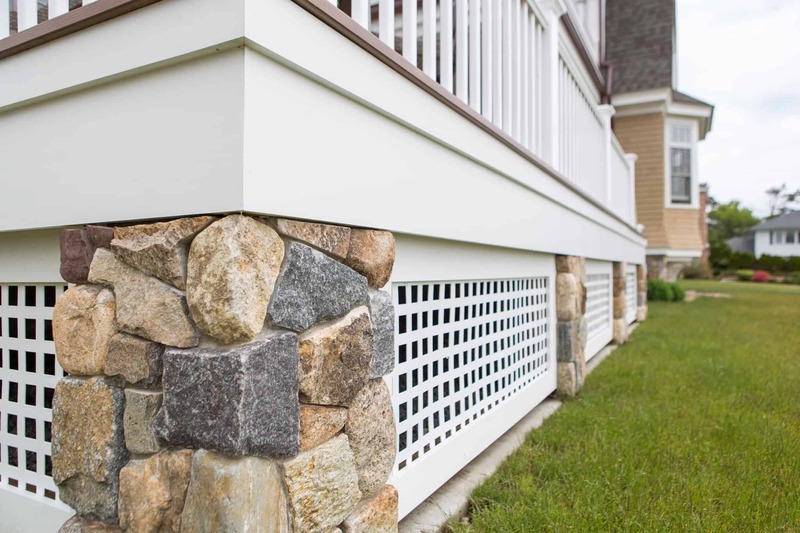 It discusses the weaving vs. miter cutting methods and shows examples of both installations. 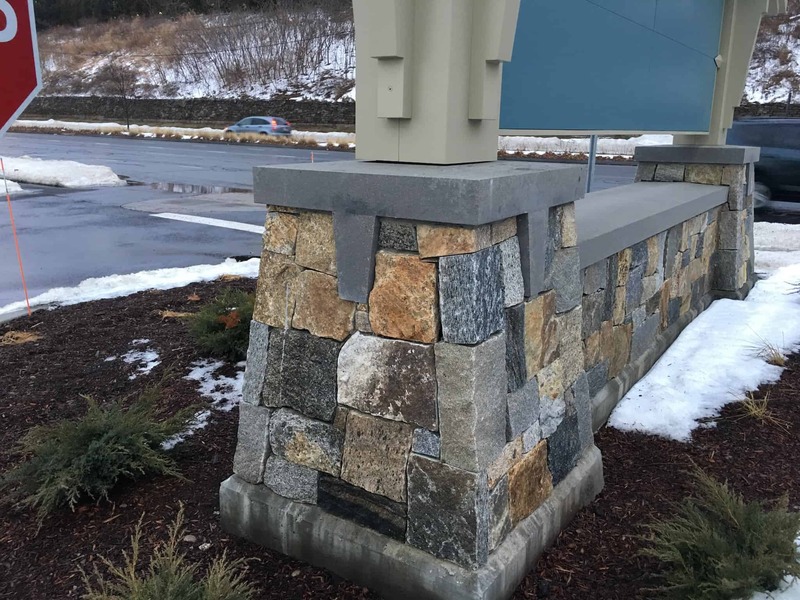 A commonly asked questions is how do you handle a 45°/125° angled corner? 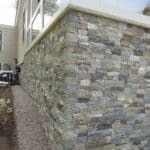 There are 2 methods that can be used, miter cutting stones or weaving. 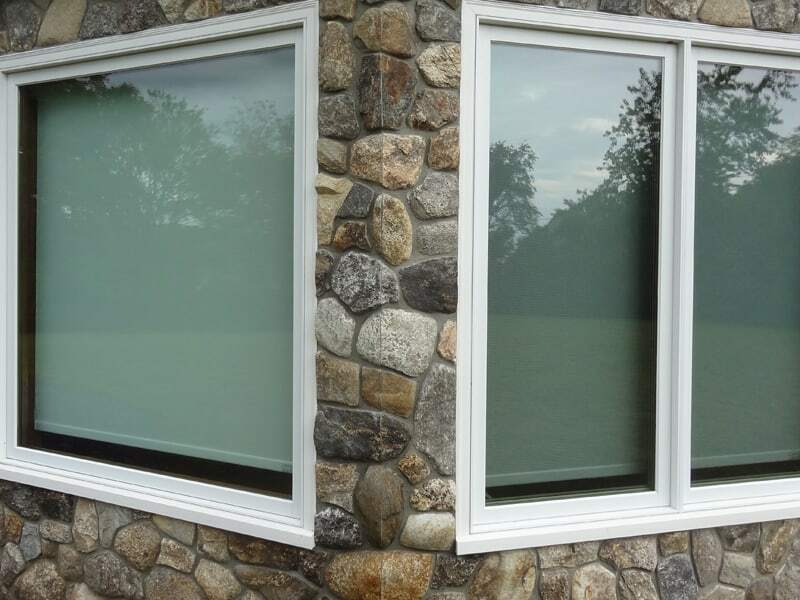 Both are installed using flat material and are pictured below. 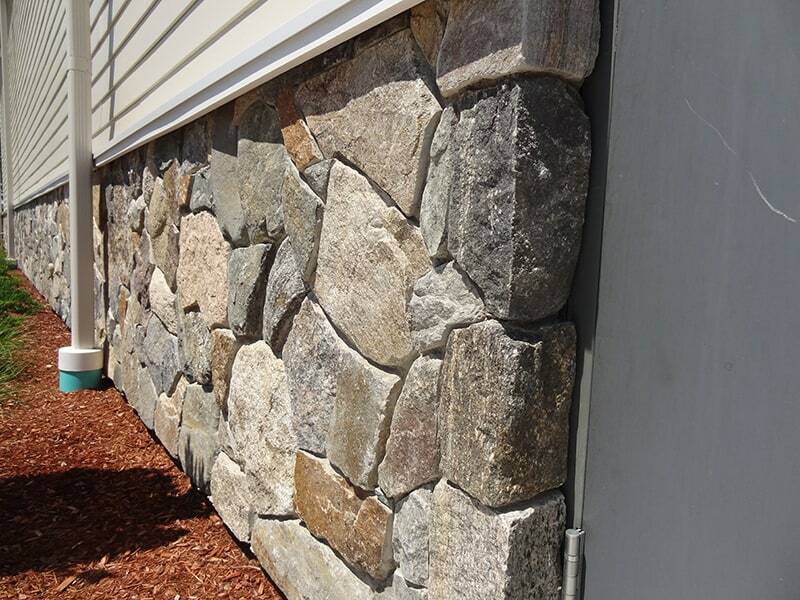 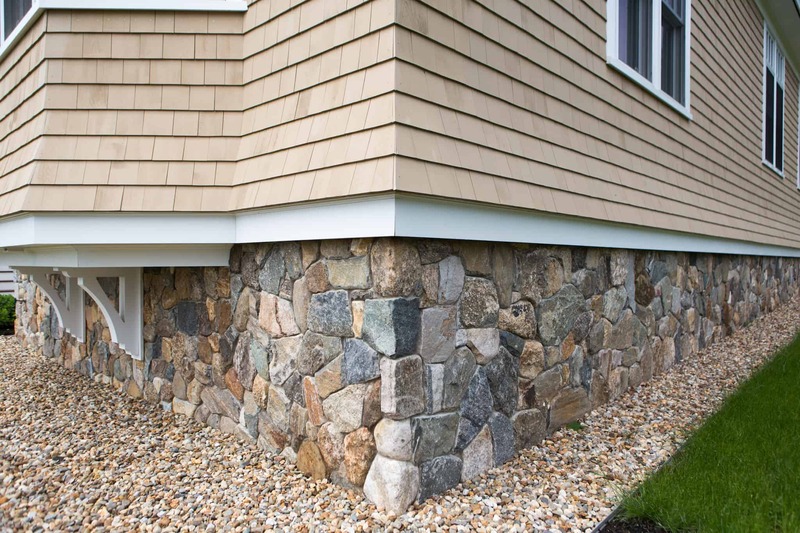 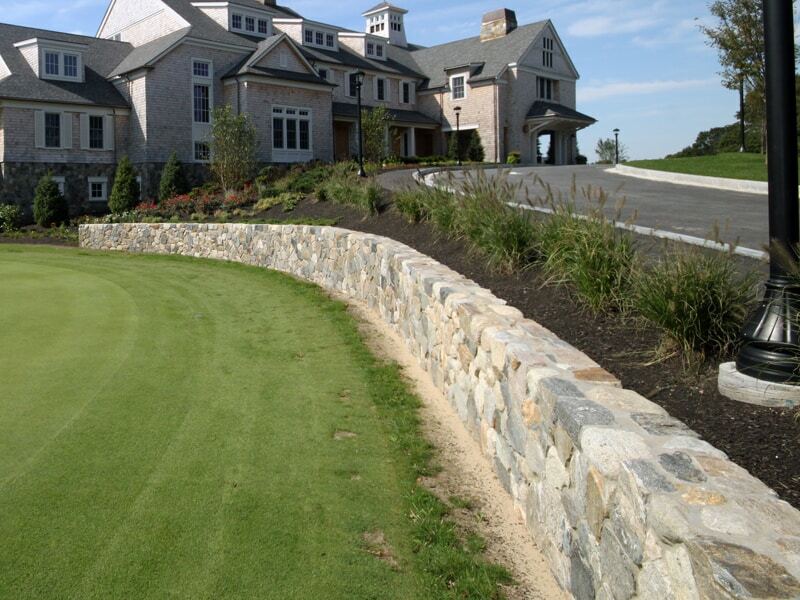 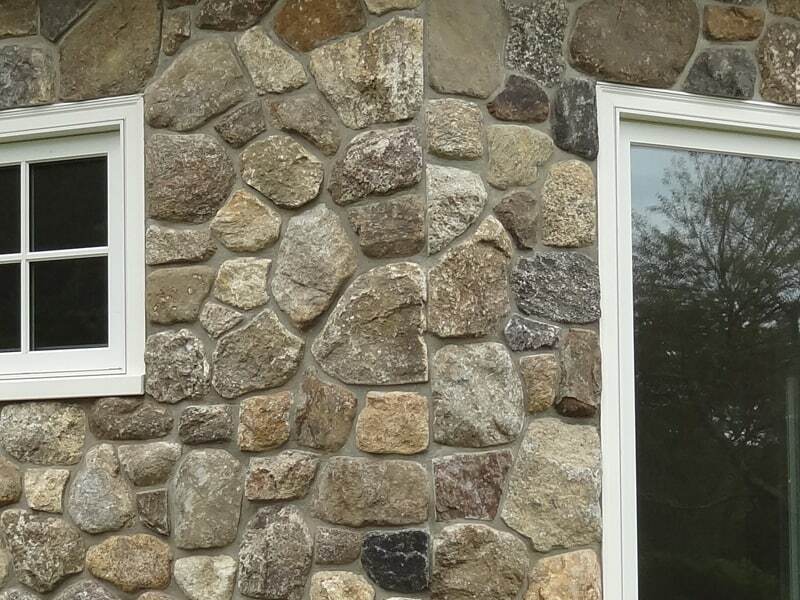 When installing either option, be sure to alternate long and short pieces of stone on each side of the corner. 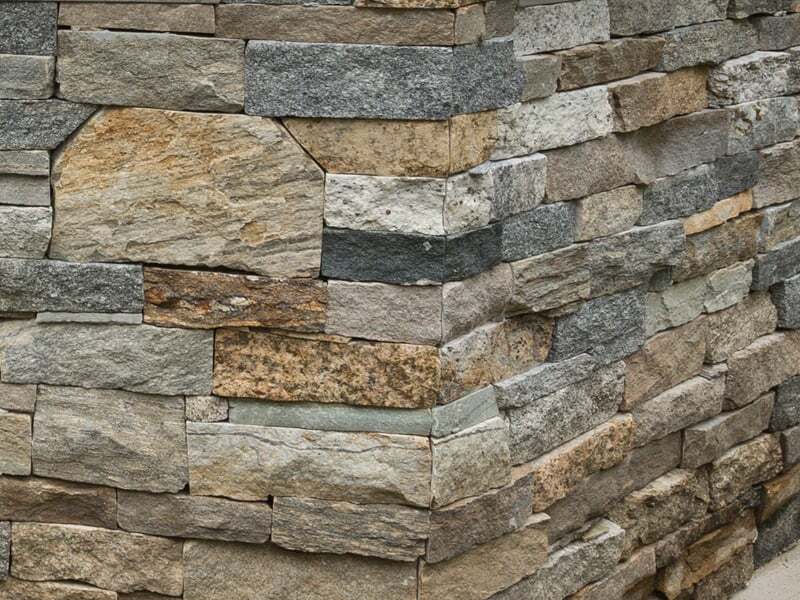 That way, it will look more natural than if it was stacked. 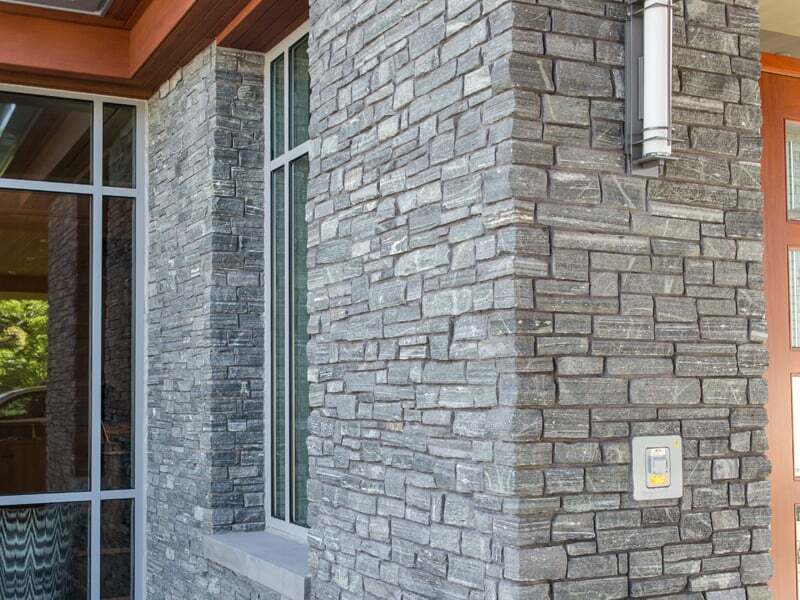 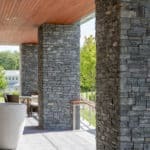 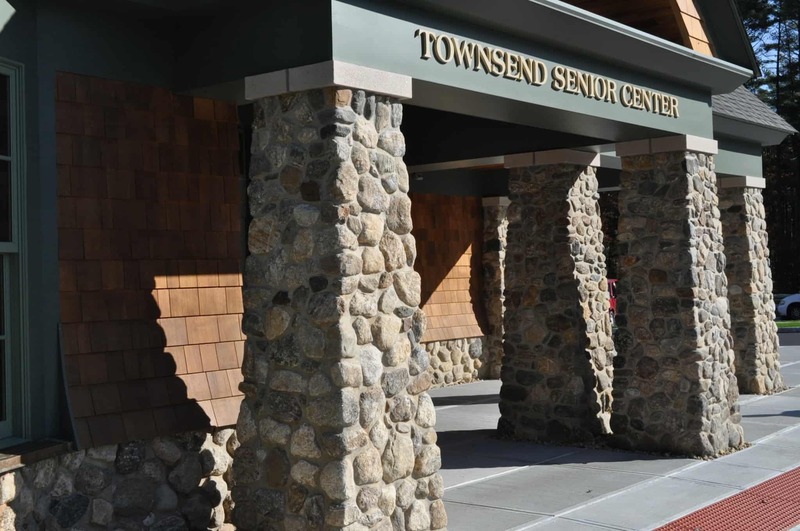 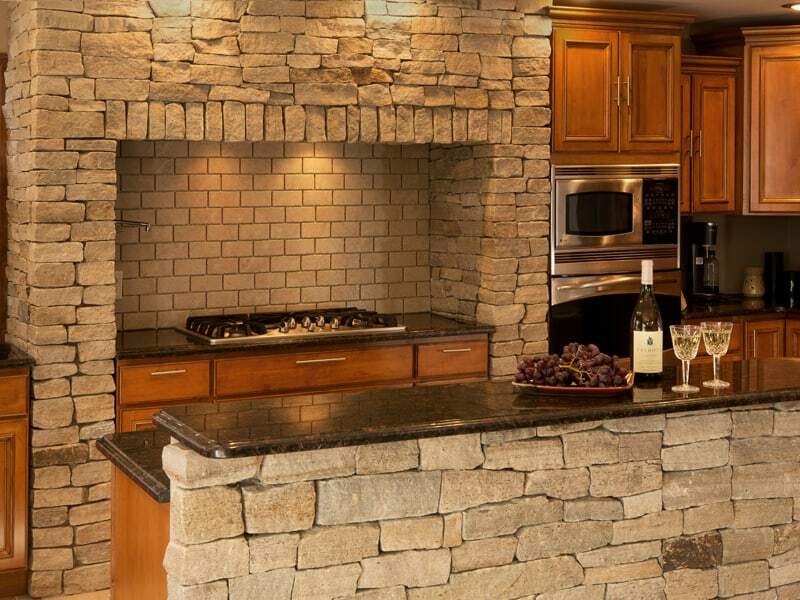 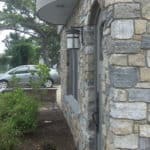 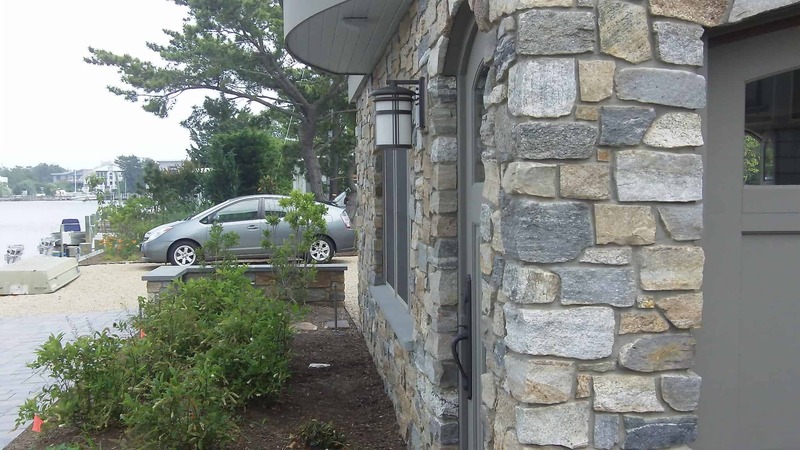 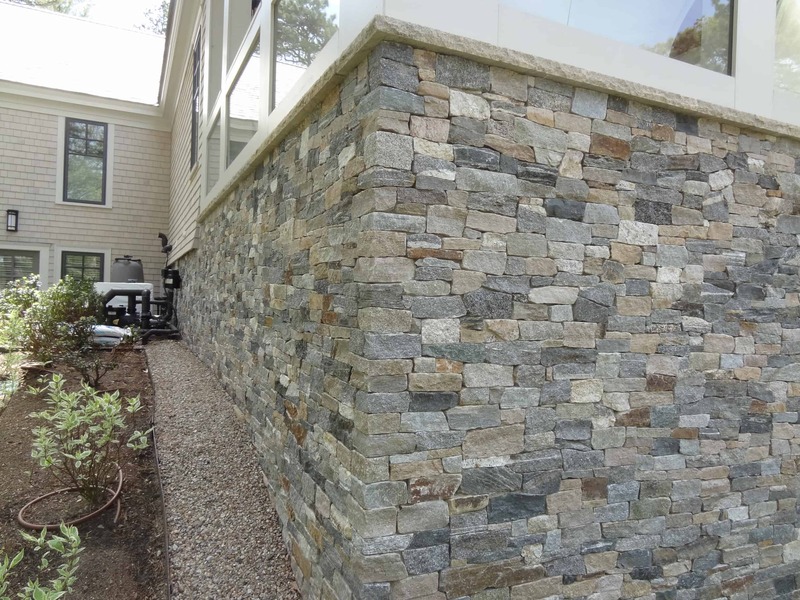 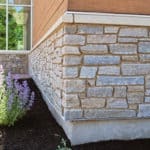 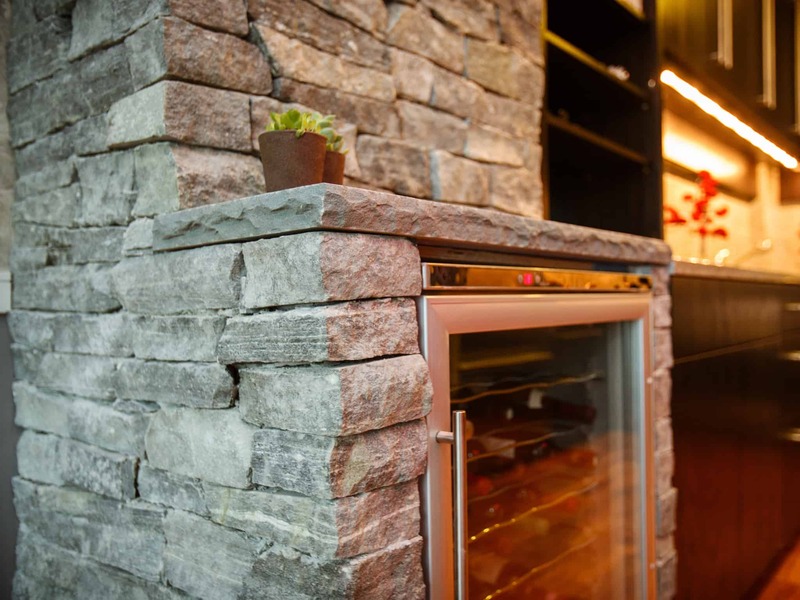 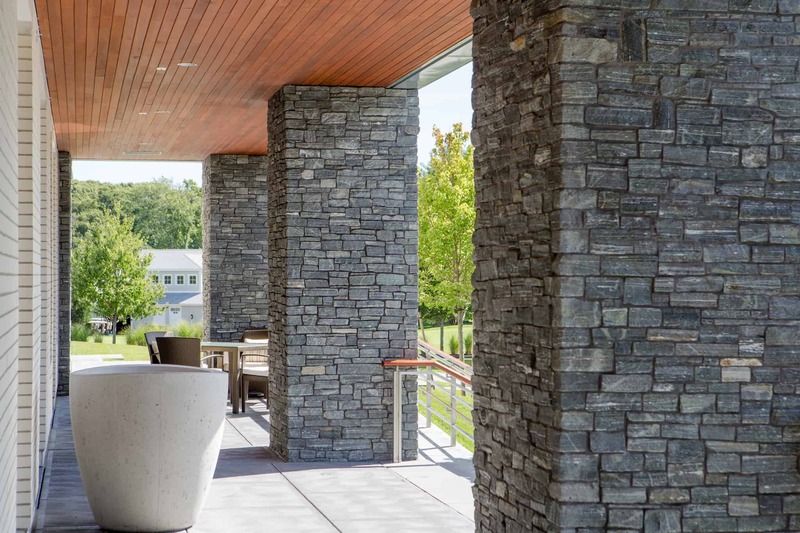 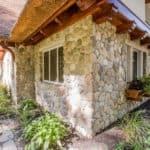 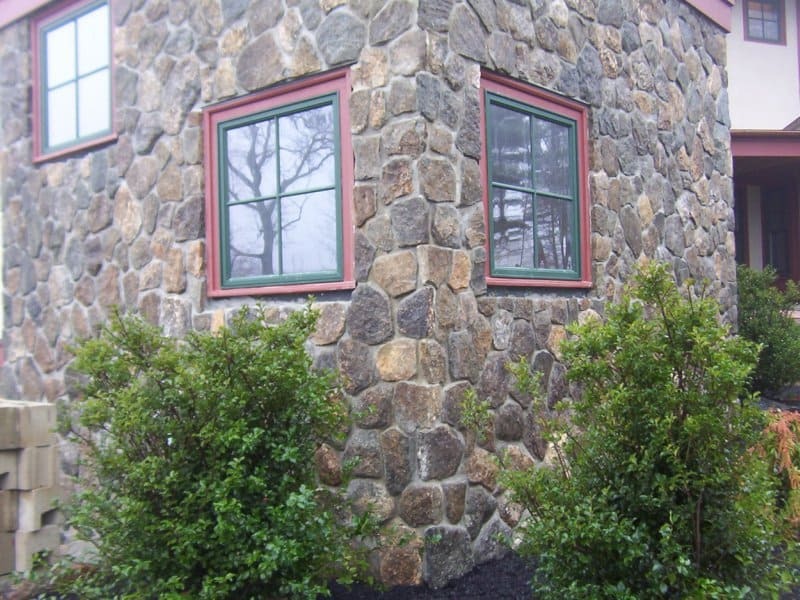 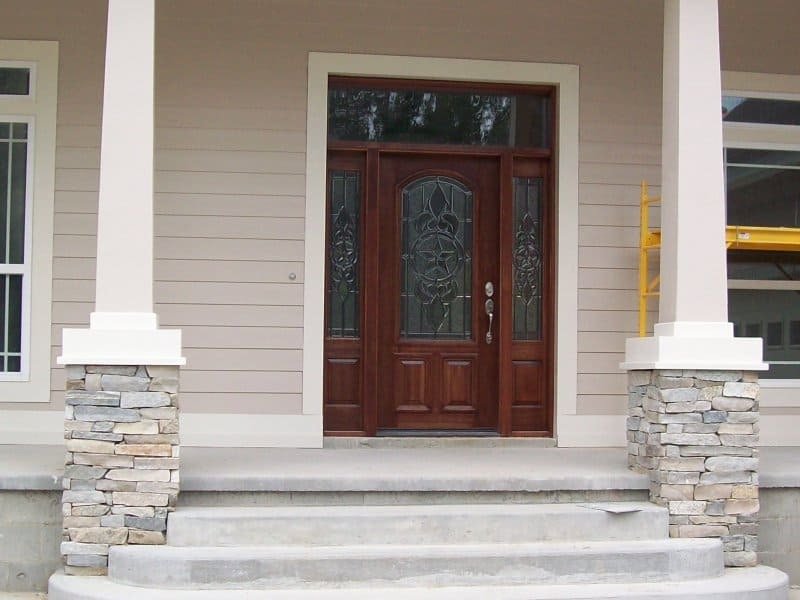 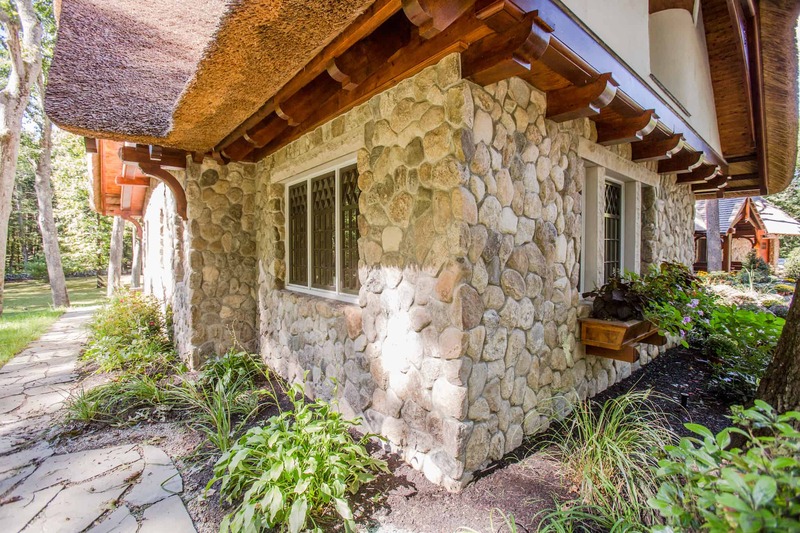 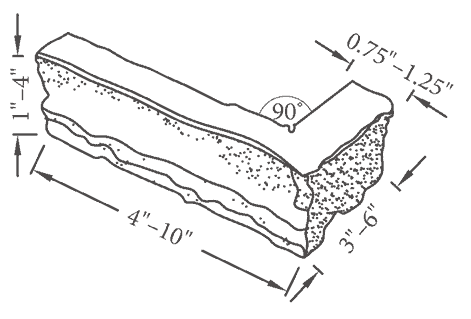 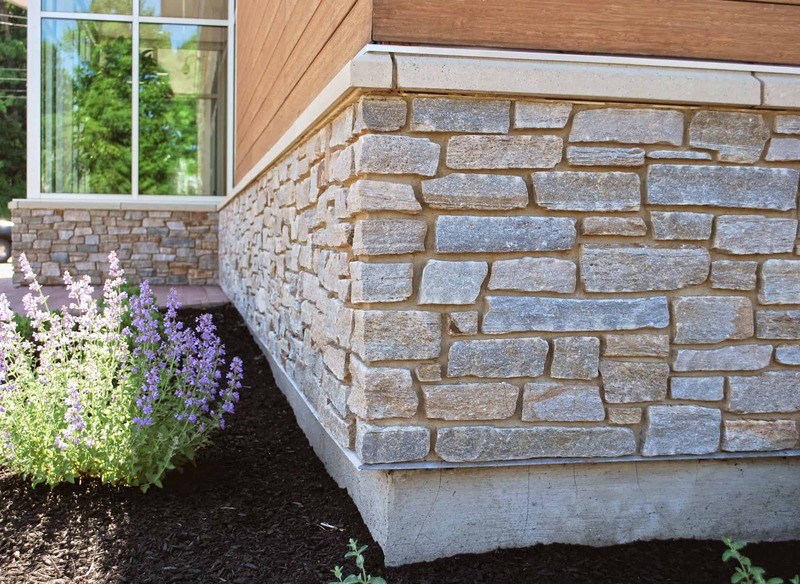 Each of the STONEYARD® Natural Thin Stone Veneer product options has a matching corner to wrap around edges and give the appearance that it is a full thickness stone. 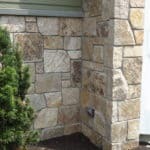 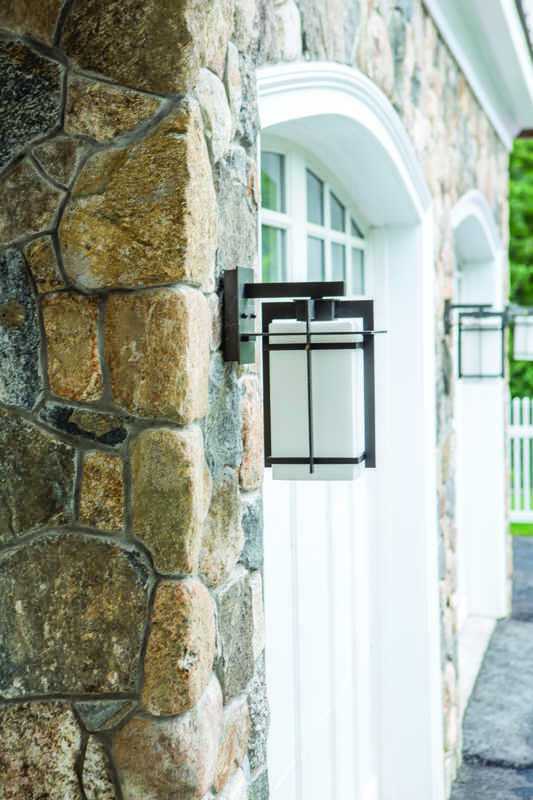 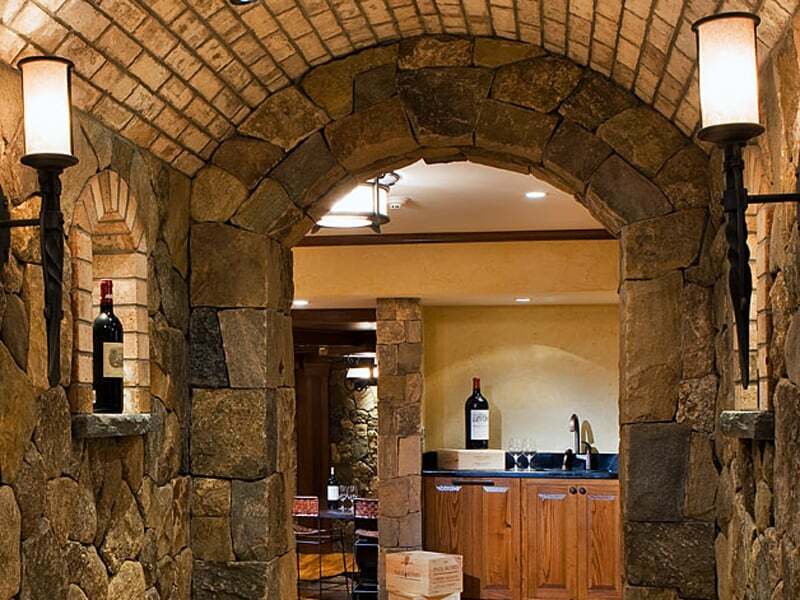 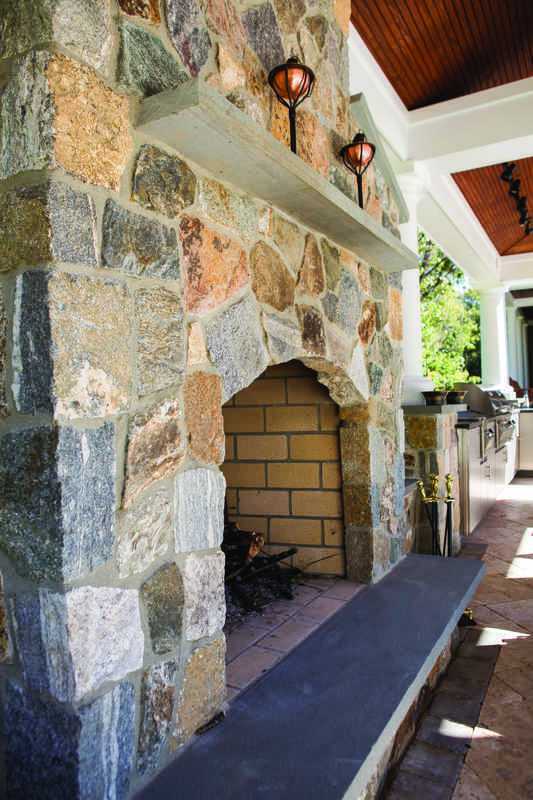 These 90° cut pieces of stone are not just for wrapping around corners however. 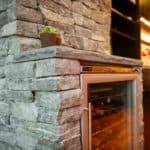 They have many uses and applications that will help to make your project look authentic. 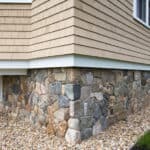 Below are a few examples of the different ways corner pieces can be used. 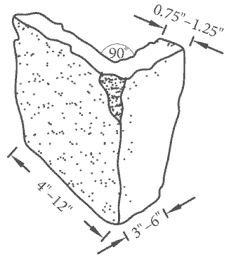 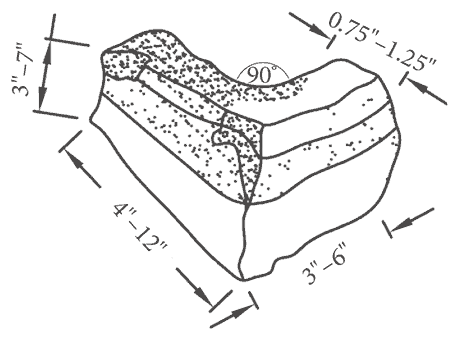 Without the use of pre-cut corners the masonry installer will “weave” flat pieces of veneer during transition from one surface to the next as the following pictures depict.